Enjoy Utah! : Utah Jazz Discount Tickets - KILLER FAMILY NIGHT DEAL!!! 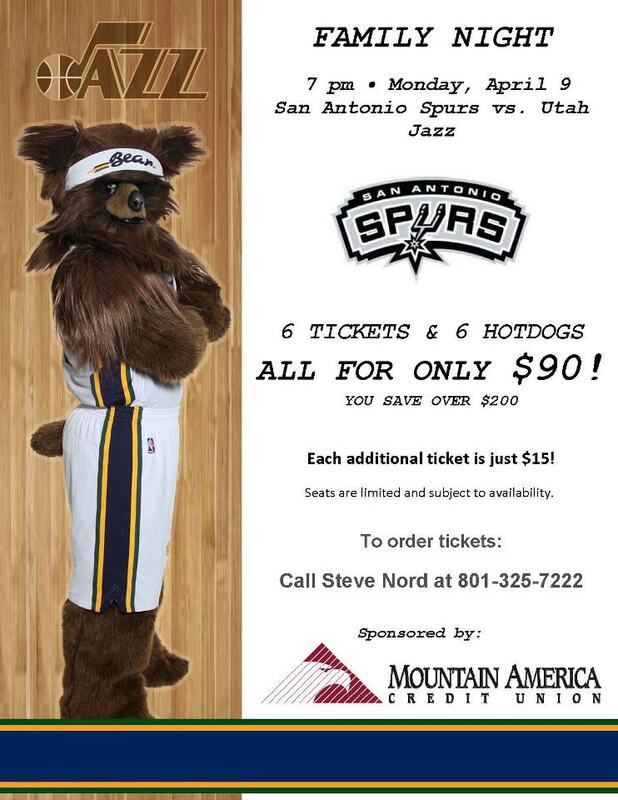 Utah Jazz Discount Tickets - KILLER FAMILY NIGHT DEAL!!! This is a killer deal, and is going to go FAST!!!! Call Steve Nord at (801) 325-7222 to order.